Mowing the yard is a thing of the past! 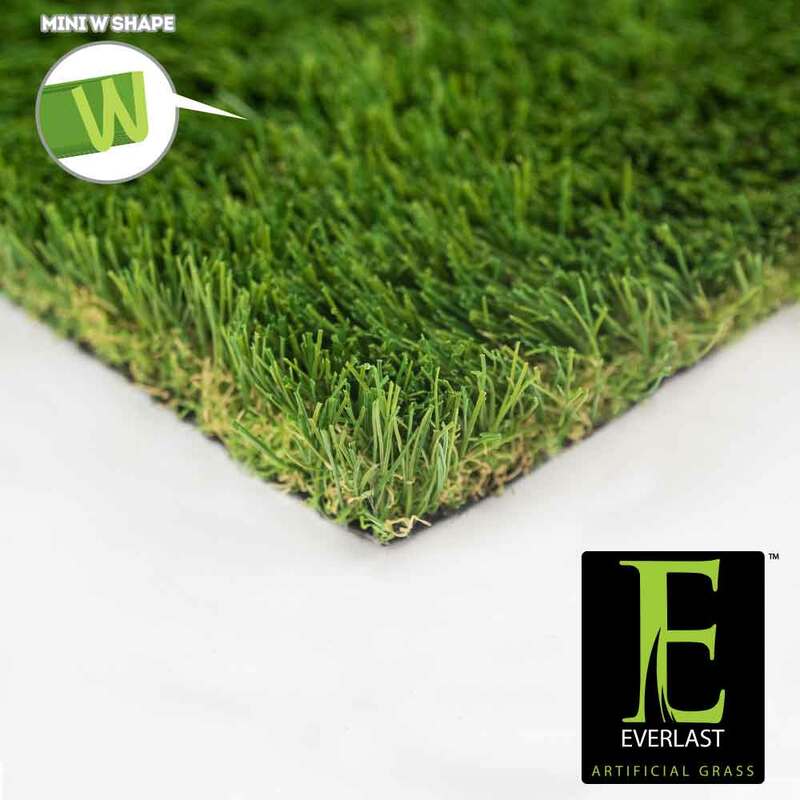 Everlast Turf Imperial Fescue Mid synthetic grass allows you to have more free time to sit back and enjoy the outdoors! Imperial Fescue Mid artificial turf features both field and olive green grass blade color tones that are paired with a brown thatch layer. Each blade is coated with a U.V. inhibitor during the manufacturing process so the colors will not fade, no matter the amount of sunshine! Equipped with an extremely strong backing, every single grass blade is triple reinforced into the backing through tuft bind technology that proves to be incredibly resistant to pull force. Regardless of the foot traffic, your synthetic turf lawn will stay in place! The backing is also perforated to allow for liquids to easily drain! Let your pets and children play all day with Imperial Fescue Mid synthetic grass! Guaranteed to last for years to come, Imperial Fescue Mid is the perfect landscape for you and your clients! Keep your backyard, dog run or commercial property green with Imperial Fescue Mid artificial grass!